Pharr-San Juan-Alamo School 1915, Pharr, Texas. 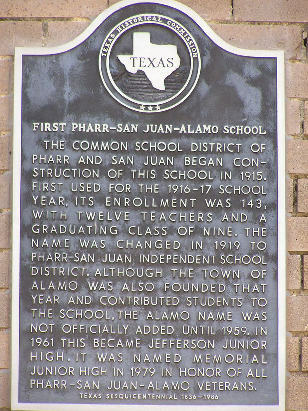 The First Pharr-San Juan-Alamo School close to the time it was new. 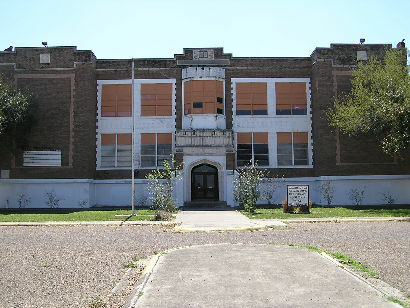 The common school district of Pharr and San Juan began construction of this school in 1915. First used for the 1916-1917 school year, its enrollment was 143, with twelve teachers and a graduating class of nine. The name was changed in 1919 to Pharr-San Juan Independent School District. 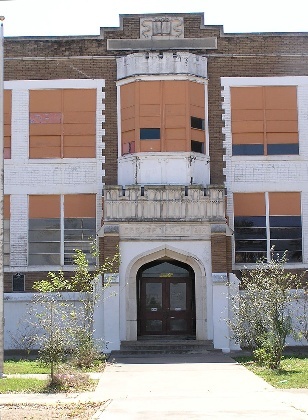 Although the town of Alamo was also founded that year and contributed students to the school, the Alamo name was not officially added until 1959. In 1961 this became Jefferson Junior High. It was named Memorial Junior High in 1979 in honor of all Pharr-San Juan-Alamo veterans.